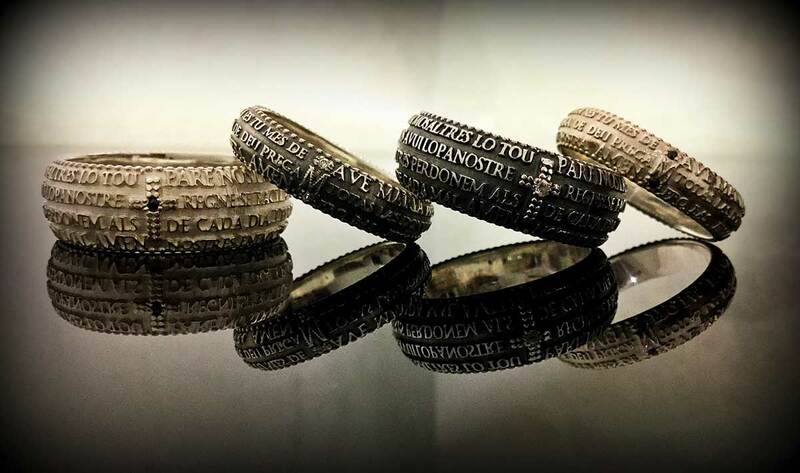 In 2015, paying homage to his city, Pasquale Ferraro created FIDES the Alghero remembrance ring. The ring is engraved with the words most-loved by the people of Alghero, the “Hail Mary” and the “Our Father,” in the unmistakable and unique Catalan language spoken in the city. Anyone who carries Alghero in their heart can’t help but to love this ring, rich in symbolism and significance, both cultural and religious.